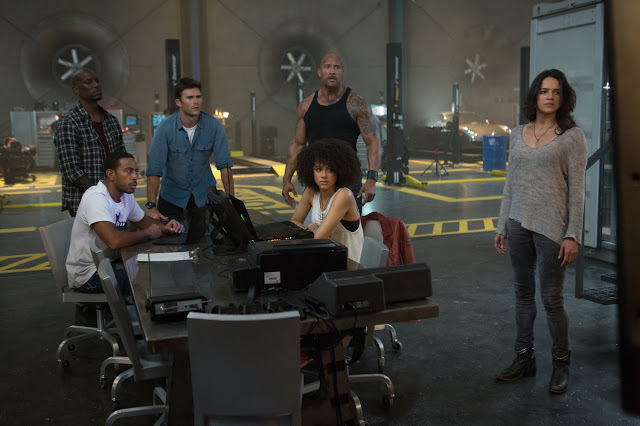 Dwayne Johnson, Ludacris, Michelle Rodriguez, Tyrese Gibson, Scott Eastwood e Nathalie Emmanuel em Velocidade Furiosa 8. Foto: IMDb. Imagem de The Boss Baby. Foto: IMDb.